Thanks to all who celebrated the launch of News Engagement with NPR Correspondent Peter Kenyon – but we’re just getting started! The actual News Engagement Day is always the first Tuesday of October. Please encourage your students to read, watch, listen to and discuss the news. They will find activities in Egan Library and the lobby near Spike’s, or reach them in your classroom. Have students find current news on a subject in your discipline. Help them avoid fake news and learn how to fact check. Continue on this site for resources and ideas. Let campuses across the nation know what UAS is doing: #NewsEngagementDay. If you missed Peter Kenyon’s talk, watch it on the new UAS YouTube channel. Where do you get your news? Do you even bother with news? The answers to these questions are the main reason more and more college campuses are taking part in News Engagement. Despite the 24/7 global news cycle, keeping up with current events has become less and less important to Americans. Trust in news media is at an all-time low and artificial news is worldwide. The Association for Education in Journalism and Mass Communication created News Engagement Day in 2014 to encourage people of all ages to become better informed by reading, watching, listening to, and discussing news as well as learning more about journalism’s purpose and principles in a democratic society. UAS joined the effort in Fall 2017 and will take part again on Oct. 2, 2018. According to the Pew Research Center, only 27 percent of 18 to 29 year-olds regularly seek out daily news. About 46 percent of those ages 30 to 49 say they follow news all or most of the time. Compare that to 1972 when 46 percent of 18-22 year-olds and 74 percent of those in their mid-30s read a newspaper daily. Pew Research also tells us that a third of young adults get their news from social media, thus, the so-called filter bubble, or echo chamber! UAS has pledged to work on changing these statistics. I hope all faculty will use their classrooms to engage more students in daily news. Teach them how to fact check stories, avoid “alternative facts” and fake news, especially as it relates to your discipline. Help students understand the difference between news reporting, opinion and commentary. In short, help them become more media literate. To do that, you will find resources, activities, research tips, and fact-checking materials on the following pages. While News Engagement Day is an annual global event on the first Tuesday of October, news engagement should be every day. We hope that will be true at UAS! Thank you for making UAS part of the solution to what is quickly becoming an uninformed, media illiterate society! Mindich, David T.Z., Tuned Out: Why Americans Under 40 Don’t Follow the News, New York: Oxford University Press, 2005, p 28. 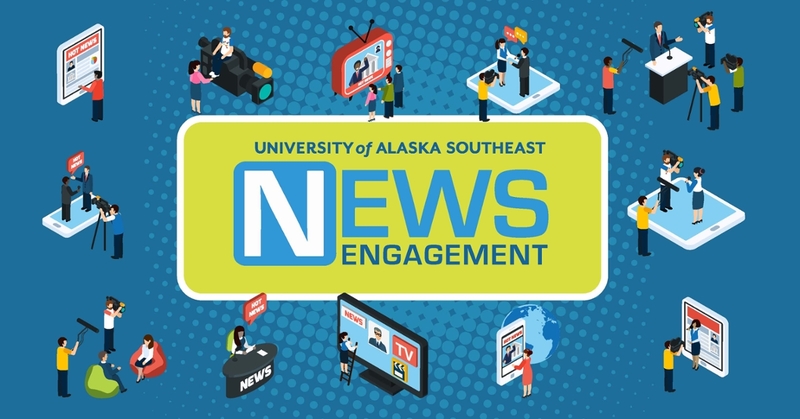 National Public Radio International Correspondent Peter Kenyon will headline News Engagement efforts at the University of Alaska Southeast this fall. Kenyon will speak at a campus-wide event on Tuesday, Sept. 18, in Egan Lecture Hall at 11:30 a.m. Hosted by Professors Dan Monteith and Rosemarie Alexander, we hope all faculty with 11:30 classes will bring their students to hear Kenyon and also encourage other students to attend. Based in Istanbul, Turkey, Kenyon started his public radio career at KFSK in Petersburg, Alaska. He went on to cover the Alaska State Legislature then joined NPR in 1995 as a Washington, D.C. correspondent. Kenyon moved to Cairo in 2005 where he covered the Middle East and North Africa for five years before taking the Istanbul assignment. He was part of NPR's news team recognized for outstanding coverage of post-war Iraq. This is the second year UAS has participated in News Engagement, an international event created by the Association for Education in Journalism and Mass Communication to encourage people of all ages to become better informed by reading, watching, listening to, and discussing news as well as learning more about journalism’s purpose and principles in a democratic society. Tuesday, Oct. 2, is the annual News Engagement Day. Please use your classrooms to engage students in daily news, especially as it relates to your discipline. Check out library displays and watch for more information on News Engagement activities across campus that day. It is important that we help students become more media literate. To do that, you will find resources, activities, research tips, and fact-checking materials here..
Dr. Jason Ohler asks, "Are we wired for fake news?" In this era of artificial news, are you wary of “citizen journalism?” Would you trust a WikiTribune?